Rocket League - Game of the Year Edition bundle is available on PlayStation 4 and Steam PC for $24.99 USD (or regional equivalent). The bundle will be available in all regions and includes the full game, as well as three DLC Packs. The PS4 version also includes ‘Rocket League Theme and various avatars, which are now free outside of the bundle. ‘Rocket League - Game of the Year Edition’ bundles are now available for purchase on the Playstation Store and Steam. 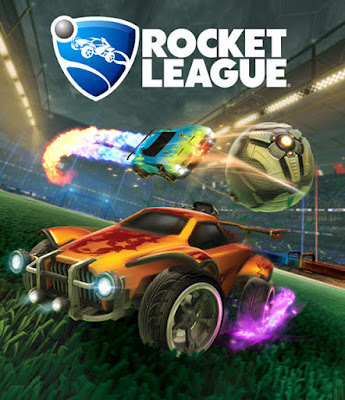 Winner or nominee of more than 150 "Game of the Year" awards, Rocket League is one of the most critically-acclaimed sports games of a generation. Boasting a community of more than 22 million players, Rocket League is a high-powered hybrid of arcade-style soccer and vehicular mayhem that offers easy-to-understand controls and fluid, physics-driven competition. Available digitally on Xbox One, PlayStation 4 computer entertainment system, and Windows PC, Mac, and SteamOS via Steam, Rocket League includes more than 100 billion possible customization combinations, a fully-featured offline season mode, multiple game types, casual and competitive online matches, and special "Mutators" that let you change the rules entirely.